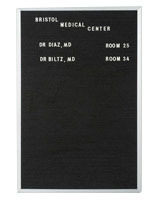 These Cork Boards Are Framed in a Stylish Gray Finished Metal for Elegant and Secure Displays! 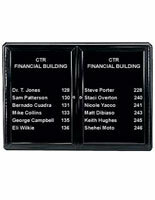 These Cork Boards Come with a Set of Plastic Letters and Locking Door for Company Wall Directories! 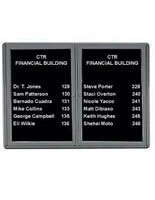 Buy These Cork Boards Today! 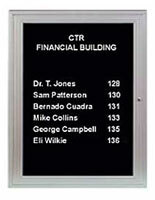 Add life to your message in an appealing Ovation enclosed cork board. Fabricated for lastingness, the powder coated aluminum trim along with radius corners produce a sleek appearance that will survive beautifully for years. The aluminum framing is finished in grey. 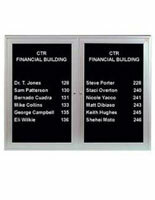 These cork boards come with shatter resistant acrylic door panels that lock for supplemental protection. 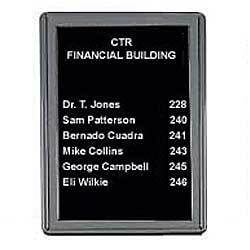 The changeable letter panels characteristic precision grooves for easy letter insertion and comes comprehensive with a set of 327 0.75" gothic letters, numbers, characters. 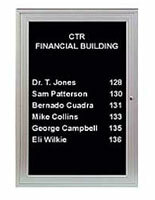 The display units make an ideal office or lobby directory. 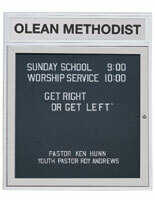 Measures 24"w x 34"h. Four corner mounting holes are located on the rear of the display for the mounting hardware of these option (hardware not included).